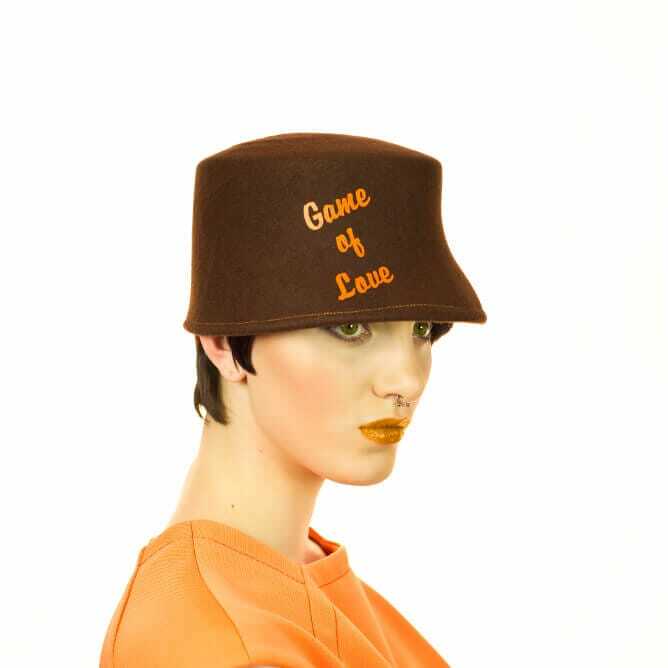 These hats are from my Letters of Love Collection made by using Traditional Craft. All my hats are hand blocked using my beloved vintage hat blocks. This hat is available in the following colours: purple, grey, black, red, brown, pink and navy. You can use the songs featured in the images or pick your own! Feel free to choose your own lyrics and write them in the comment box at checkout.